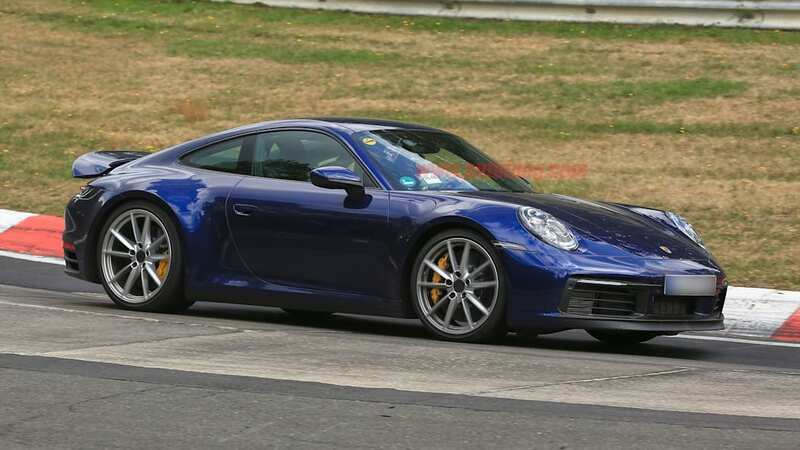 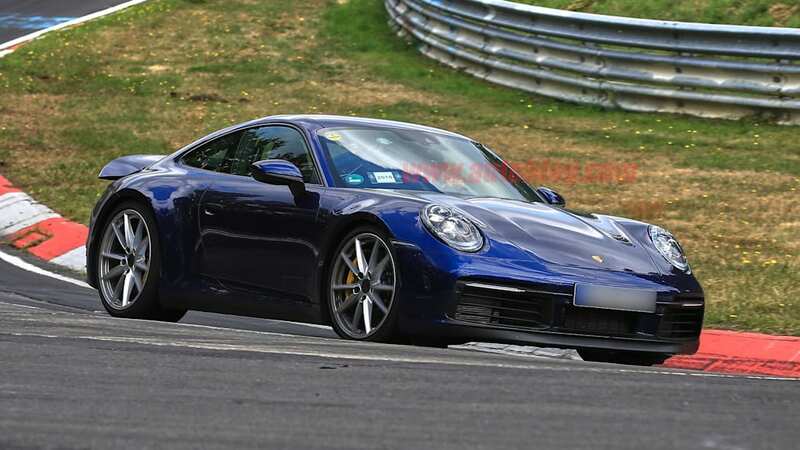 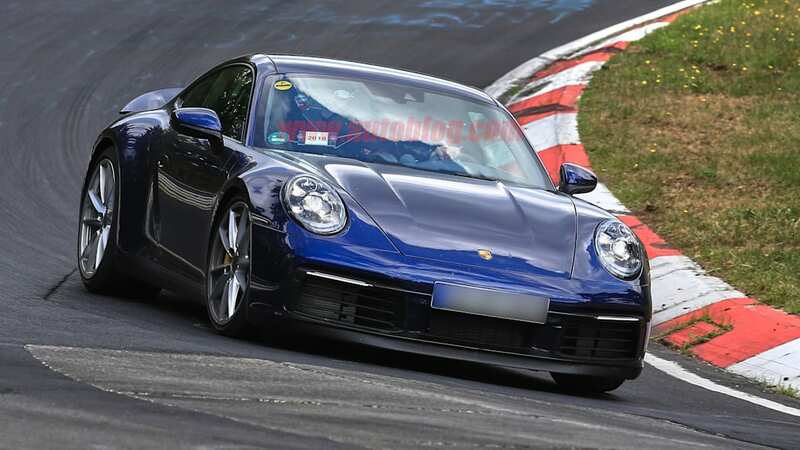 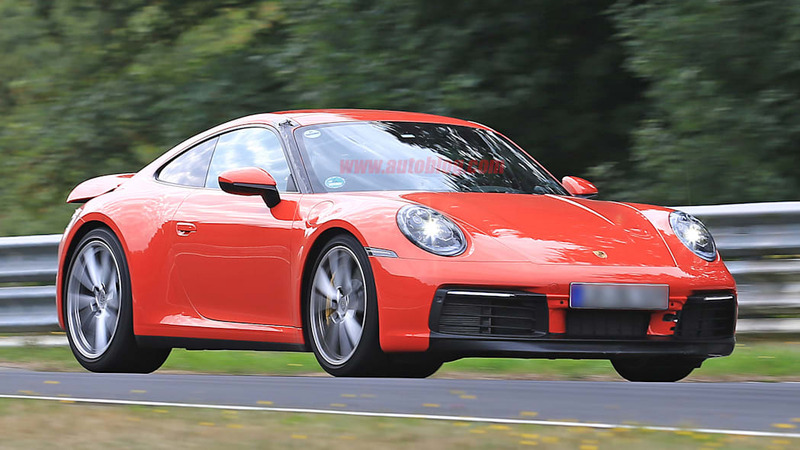 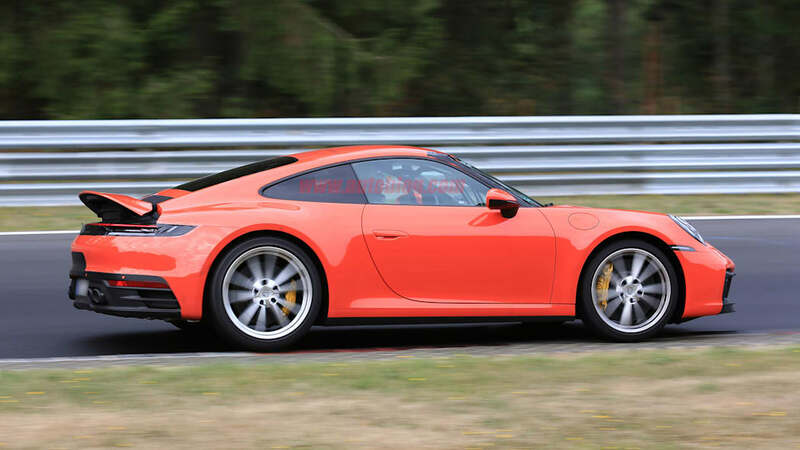 It seems that Porsche has pretty much given up on trying to hide the looks of the 2020 Porsche 911 Carrera and Carrera S. Once again, one of our spy photographers has caught the 992 generation out testing without any camouflage, and even in bright colors. 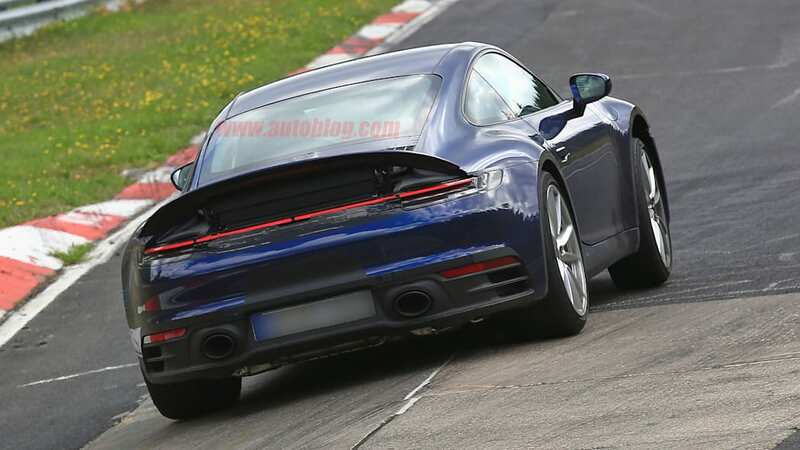 While there isn't much new to talk about regarding overall styling, this does give us our best look yet at the car's new active rear spoiler. 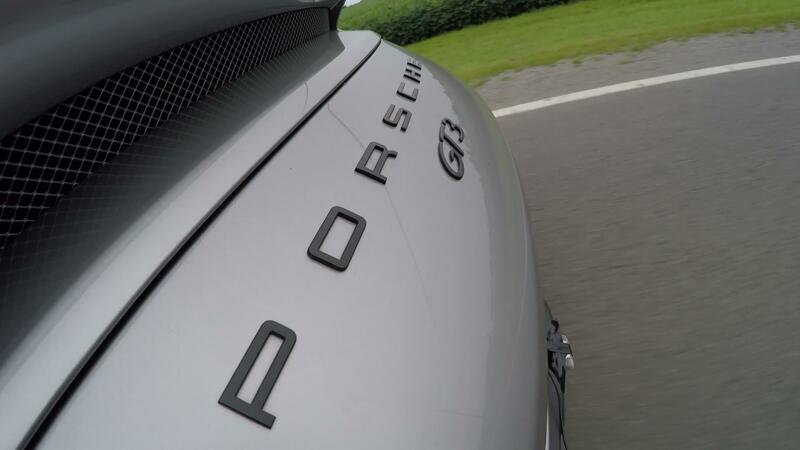 It's big. 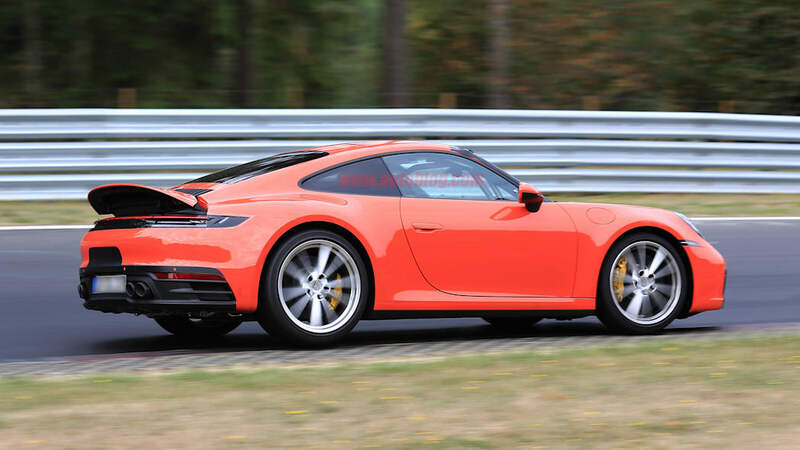 We mean, it's really big, way bigger than the simple flap on the current model. 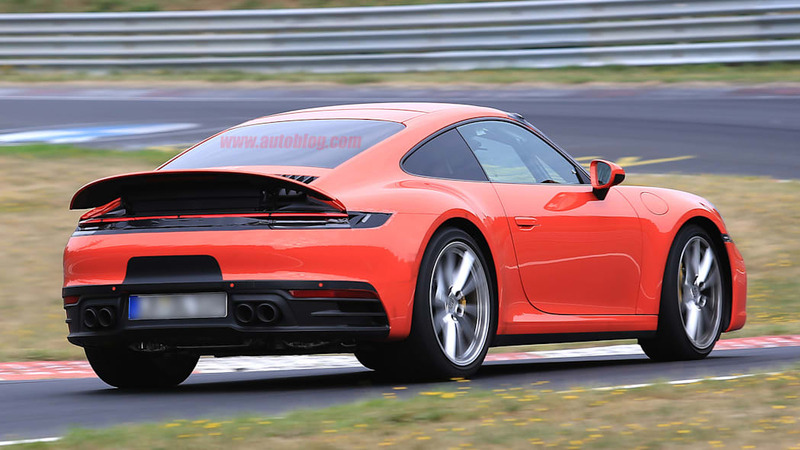 The spoiler spans pretty much the entire rear end of the car, and it's all one piece. 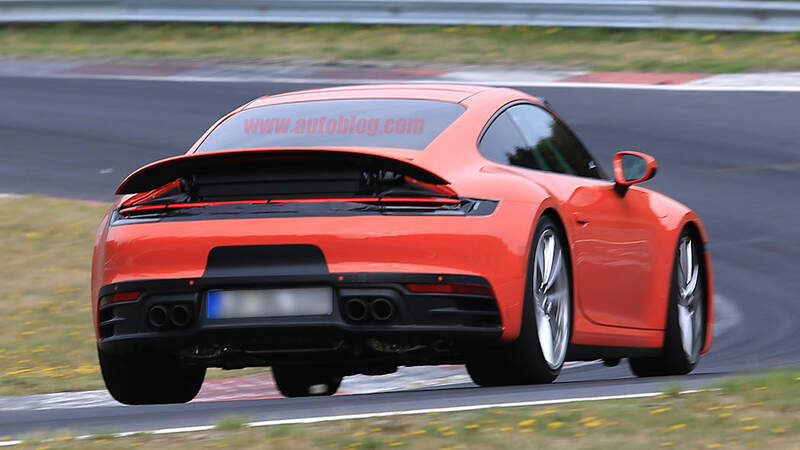 It's not the expanding design used on the Porsche Panamera. 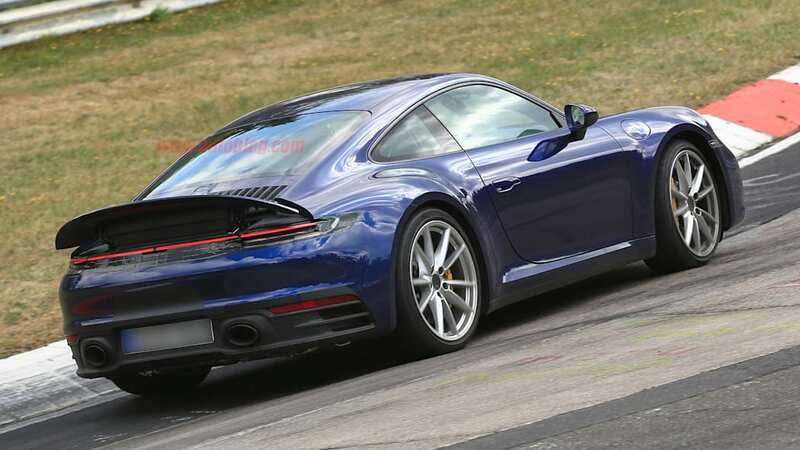 From the rear, it can look a bit odd to have such a big section of the car exposed, but from front 3/4 and profile views, there's a hint of the low, wide spoilers seen on 993 911 Turbos. 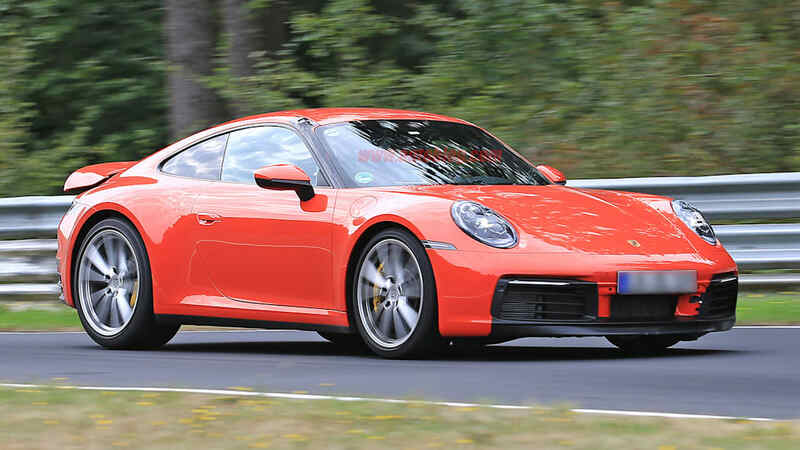 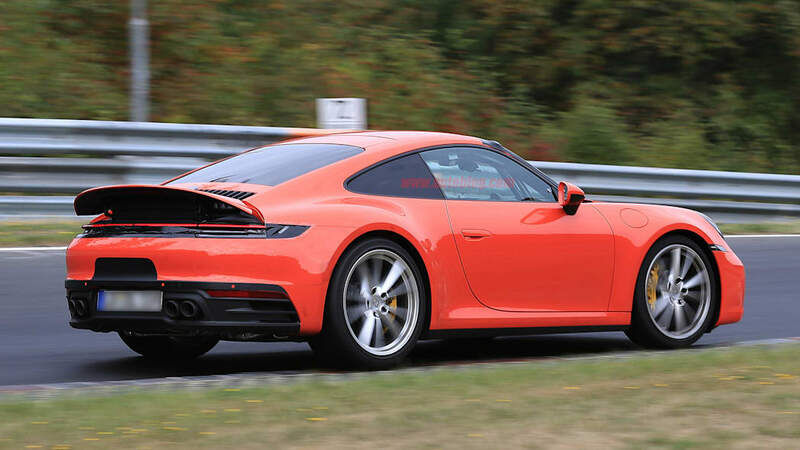 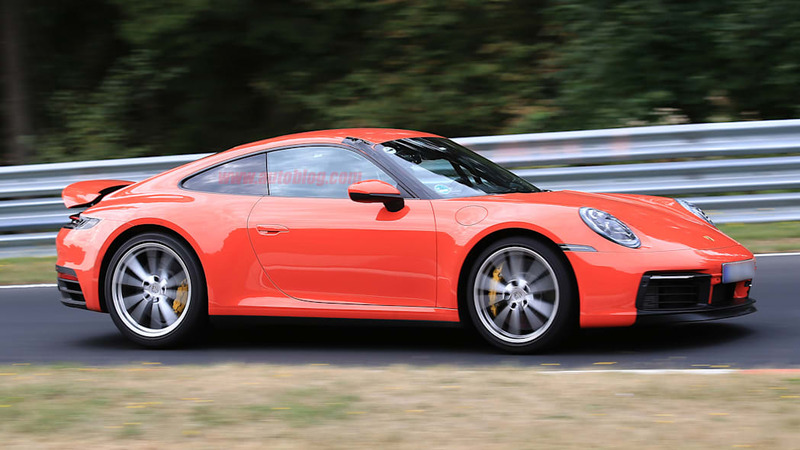 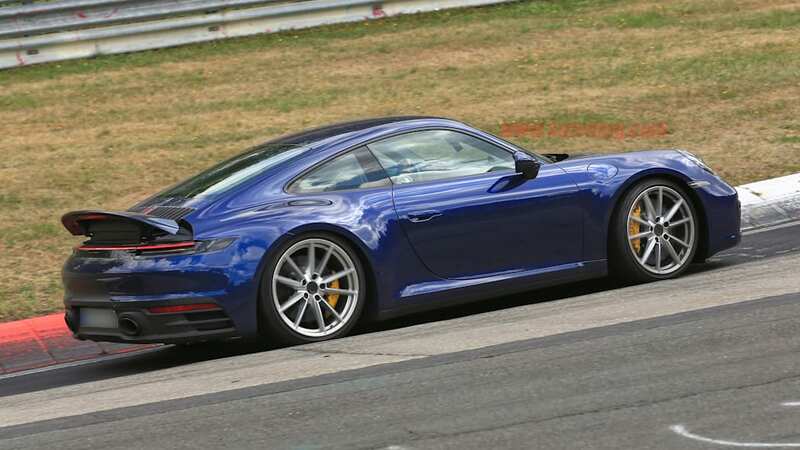 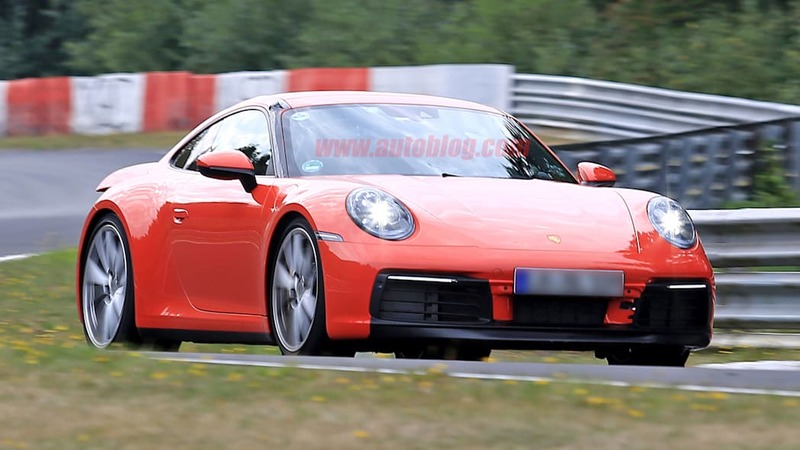 We can also see that this spoiler design will be used on both the standard 911 Carrera and the more powerful Carrera S. The regular Carrera is the dark blue car with the dual exhaust, and the Carrera S is the bright orange car with the quad exhaust. 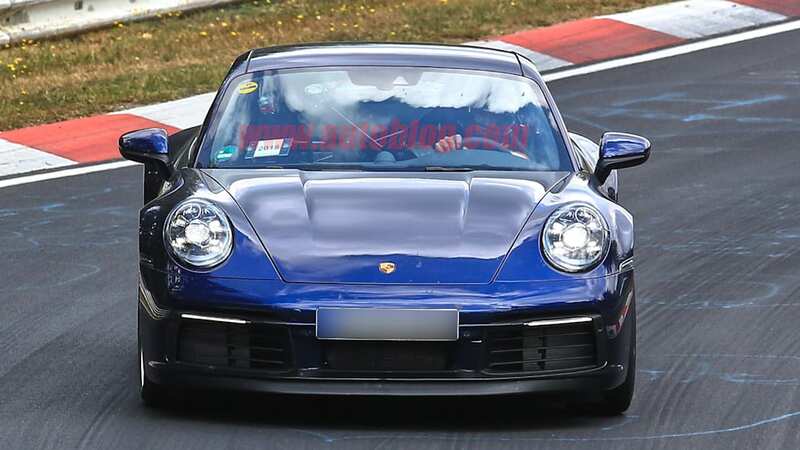 The rear spoiler isn't the only bit of active aerodynamics in effect either, as the previous set of photos revealed active front lip spoilers.